I bought 3 sets (xbox, xbox 360, ps2). $6 each. I've always had problems when your hands get sweaty the tend to slip off the analog sticks especially the concave ps2 ones. These covers for your analog sticks really work well. They are made out of very grippy rubber/gel with little bumps on them. Xbox and xbox 360 are really easy to install. Just slip them on. It does add a bit of height to the stick but I got use to it very quickly. The ps2 instructions say to remove the existing rubber covers which are GLUED on. They were tough to get off and basically you will destroy the original rubber covers so there is no going back. But having said that I do like the gel tabz quiet a bit more and the height is exactly the same on the ps2. 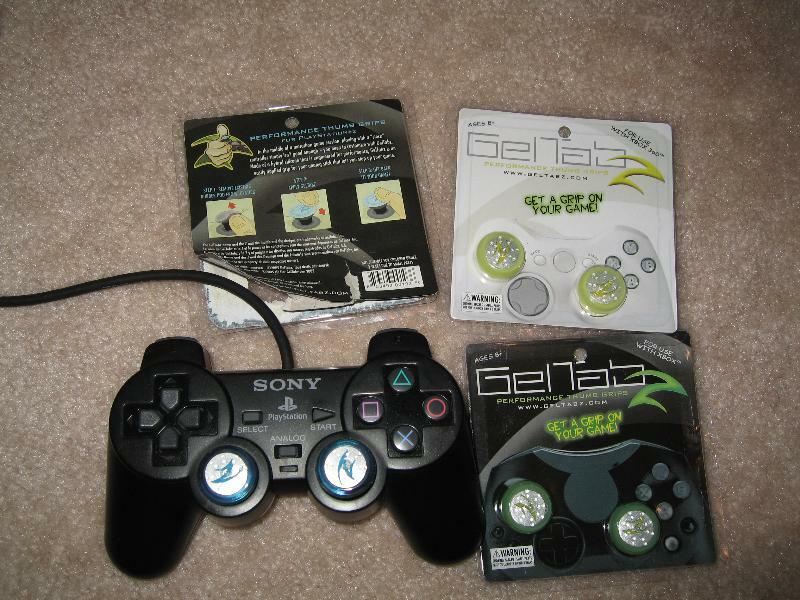 UPDATE: 2/16/2005 - After further use I think I like the xbox (and 360) controllers without the geltabz. The reason is I really like the concave shape of the top of the analog sticks and the geltabz tend to fill them out. On the ps2 I still think they are a great improvement.